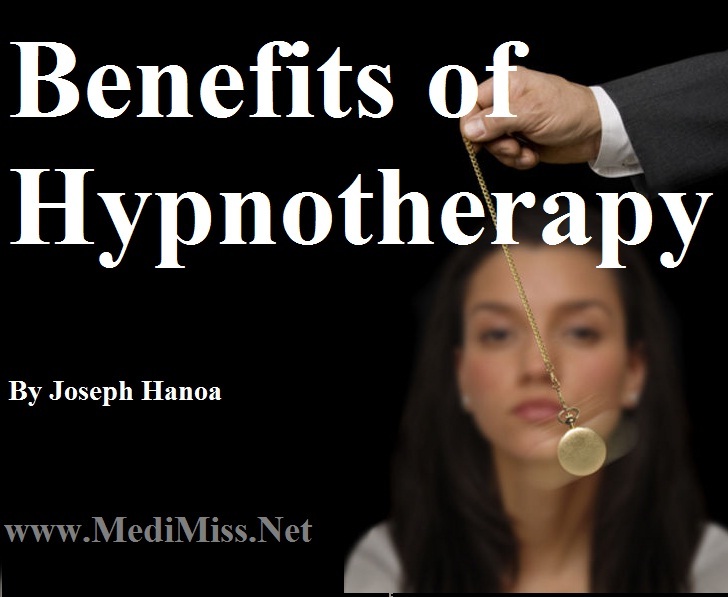 The purpose of most hypnotherapy is to alter some undesirable aspect of behavior. The aspect of behavior to be modified can be something like overeating, stopping smoking, anxiety or it can range to more serious personality disorders like psychosis. The therapist, in hypnotherapy, puts the subject into a trance like state in which the therapist can deliver suggestion or talk with the subject's subconscious mind directly. Basically, the trance allows the therapist to bypass the subject's conscious. Inducing a trance is a relatively easy process. There are various techniques like having the subject stare at and concentrate on a spot on the wall or waving a stopwatch or pendulum back-and-forth in front of his face as he follows it with his eyes. The therapist, speaking in a monotone, says things like "you are becoming more and more relaxed", "you can feel the tension draining from your body", etc. When the subject is in the trance the therapist then gives the suggestions in the same monotonic voice. The suggestions have to be carefully worded to bring about the desired effect. When the therapy session is over, the therapist brings the subject out of the trance by saying something like "you are become more aware of you surroundings" and "open your eyes when you are ready to". The subject will then "wake up". Hypnotherapy directed by a therapist is referred to hetero-suggestion. If the intention of the hypnotherapy is to modify behavior like overeating or stopping smoking, usually more than one session is required. The effects are not immediate but the behavior should begin to change gradually in days or weeks. Hypnotherapy can make it easier for the subject to lose weight or to quit smoking. Also, hypnotherapy can be beneficial in the treatment of some psychoses. In the trance like state the therapist can talk with the subject and bring up repressed events that are causing problems in the subject's life. Some things too painful to say in a conscious state may be able to be revealed in hypnotic state. These painful past events may be causing symptoms like dreams or nightmares, phobias, etc. A psychotherapist, having knowledge of these events, is in a better position to help the subject recover.